ca. 320 - 310 B.C. 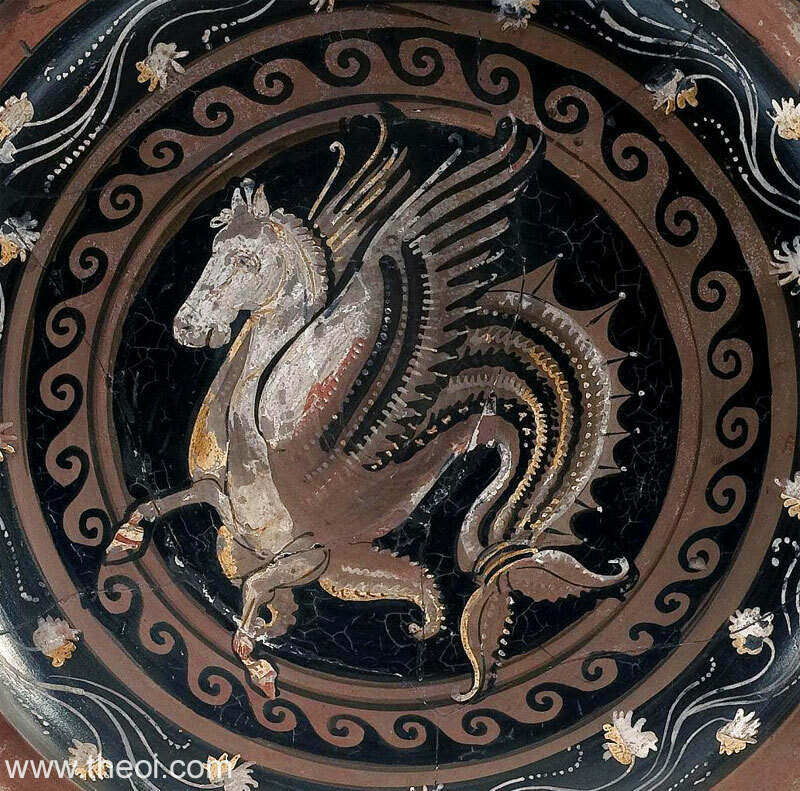 A winged Hippocamp or fish-tailed Pegasus is ringed by a circle of waves. This unusual creature has the head and forelegs of a horse, tail and forefins of a fish, and the wings of a bird. In myth, the winged Pegasus was the son of the sea-god Poseidon and the fish-tailed Hippocampi were his aquatic steeds.